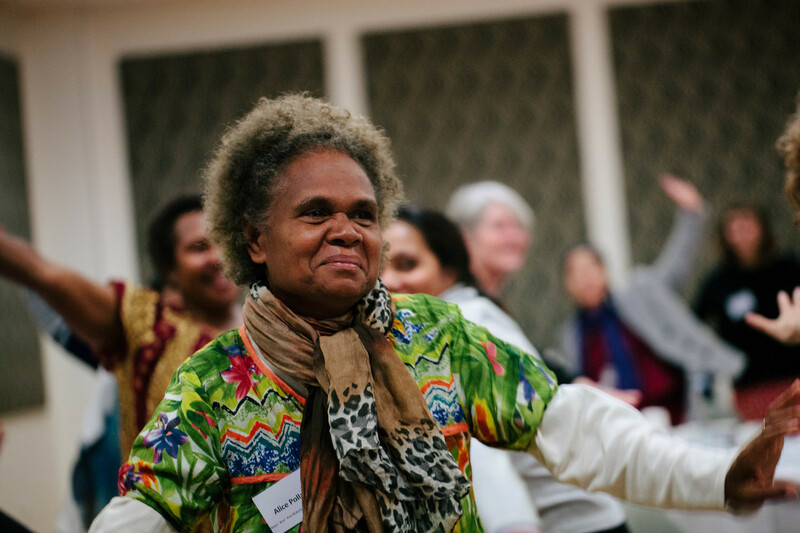 Dr Alice Aruhe’eta Pollard participating in the WAVE Inception Workshop, Melbourne, Australia. In Solomon Islands, access to formal banking services outside of the capital and provincial capitals is non-existent. And with 80% of the country’s population living in rural areas, this means a large proportion of residents have no access to basic financial services. This is a particular challenge for women who, with no safe place to store their savings, are at increased threat of violence or theft. With no savings, women are often left dependent on their partners and have little control over how their money is spent. That’s where the West ‘Are’Are Rokotanikeni Association (WARA) comes in. IWDA is proud to partner with this women-led savings club which brings women together to learn more about their finances, access small loans and build their financial literacy and management skills. It also provides women with a safe and secure place to store their savings and watch it grow. Co-founded by Dr Alice Aruhe’eta Pollard in 1999, WARA now has more than 1000 members across West ‘Are ‘Are in Malaita Province. The clubs meet regularly to learn skills such as financial literacy, household budgeting, basic bookkeeping, running a small business and good governance. Each club can use their pool of funds to loan money to members when they need it, and leaders are elected to keep records of deposits and loans. But the savings club isn’t just about money. It’s an empowerment model that is driving transformational change. WARA members recently gathered at their annual general meeting to mark 19 years of the group’s existence. Addressing members, the Premier of Malaita Province Peter Channel Ramo’ohau said the group’s success was a model for others. “With your hard work over the years and your dedications to your savings, now you are reaching the impossible by starting with the possible,” he said. At the annual meeting, members also learnt about important topics from business development and fighting corruption to ending gender-based violence. Together, they have developed their voice and play an active role as decision-makers in their homes and communities, churches and chiefly structures.